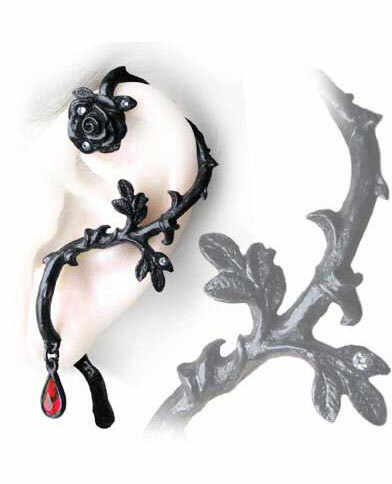 Black thorny rose earring cuff stud with red Swarovski crystal drop of blood that wraps around the ear. Surgical steel post. Made of English pewter and imported from the UK. 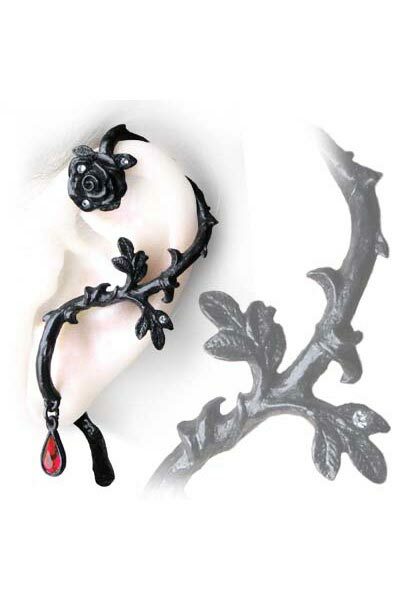 This cuff can be worn on the left ear.